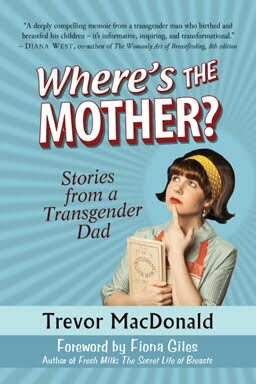 This past Spring I wrote to LLL Canada and LLL International asking if I could create some resources for Leaders who might need to work with transgender parents. I received an enthusiastic response from an LLLC board member! We decided that I would write some tip sheets based on what was already on my blog. The tip sheets are now available in the Leaders' area of the LLLC web site. Leaders can go to Leader Resources - PL Department - Information Sheets to find the "Tip Sheet for Assisting Transgender Parents." It comes in three parts – a general information sheet, one specific to trans men, and one specific to trans women. LLL International also asked permission to use the sheets, which I happily gave. Hopefully Leaders around the world will be able to view the sheets very soon. A version of these information sheets is available on my blog. I'm a LLL leader and I am really excited to have this resource! Thank you for sharing your invaluable experience!